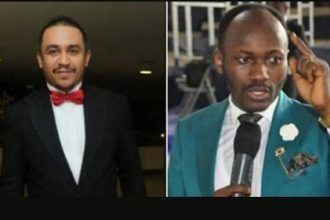 It’s being a play of back-talks between controversial actor, Uche Maduagwu and OAP Daddy Freeze over the pastor (Suleiman) accused of dumping his pregnant girlfriend among other claims central on the lady. 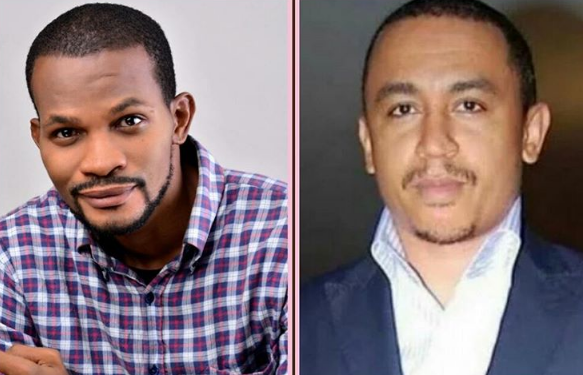 Uche, as usual, had made the first attack when he took to his IG page to accuse the OAP of poking his nose into other people’s businesses, adding that he should instead focus more on his OAP job. Freeze however in reaction to the media jibe took to his Instagram page to share a collage of the actor’s photos in which he spotted only one type of shirt and accompanied it with the caption: “After desperately trying to get my attention through flattery, wannabe actor with only one shirt, decides to employ aggression. Meanwhile the infamous actor had again replied early today by taunting the OAP failed marriage. – ???? Being the good Samaritan that he is known to be, super graphic designer @bleoshots just provided @uchemaduagwu with a much needed change of clothing! ???? #Savage.